SHORE Dinner Still On – Purchase Tickets Now! 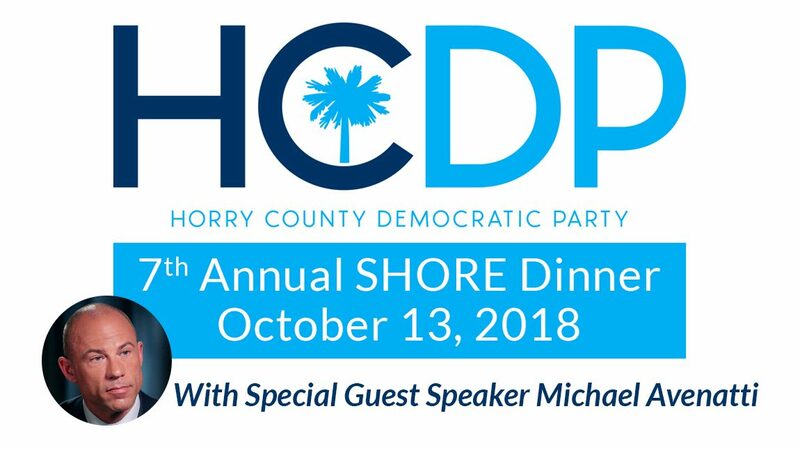 The Horry County Democratic Party’s SHORE Dinner plans were placed on hold during Hurricane Florence preparations and immediate aftermath. Fortunately, the Bay Watch Resort came through the storm unscathed and staff members are eager to host our annual fundraising gala on October 13. We have collected many silent auction items and solicited program ads. You can still donate items for the auction and ad sales are still open, so take advantage of this great opportunity to demonstrate your support for HCDP and our effort to elect Democrats on November 6. We have the power! Let’s use it! So, purchase your SHORE Dinner tickets now! The deadline to purchase tickets is by close of business September 29, 2018. No tickets will be sold at the door. The speaker for this year’s SHORE Dinner is Michael Avenatti, a nationally known attorney who has been a vocal critic of the current administration and who has challenged Democrats to fight hard for our political positions and beliefs. Avenatti is considering a run for president in 2018, and has planned speaking engagements around the country to meet party activists and help local Democratic Party fundraising efforts. A fierce opponent of the President and outspoken voice of a movement to expose Trump Administration scandals, Avenatti’s rhetorical skills and political exhortations have fired up audiences wherever he has spoken. “Avenatti’s first hand experiences battling corruption and standing up for victims are entirely unique,” said Don Kohn, HCDP chair, as he emphasized the significance and importance of the experiences Avenatti will share. “We are looking forward to welcoming Avenatti to what will be an exciting evening,” Kohn said. Avenatti has represented clients in lawsuits that have gained attention in the international media , including cases against the National Football League, celebrities, high-ranking business executives, and Fortune 100 companies. Avenatti has also distinguished himself as a race car driver in 33 professional sports car races. Please join us for this lively event, sure to motivate us to get out our Democratic voters in November. 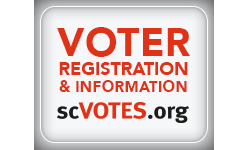 Contact Don Kohn at (843)504-5489 or Nancy Anderson at (843)340-1595 if you have questions.